Odyssey Golf is once again showcasing the importance of putting via its ‘#OdysseyMonth’ celebrations. Now in its fifth year, Odyssey Month will feature some of the world’s top players carrying the exclusive Odyssey Tour bags, a series of expert putting tips and, for the first time ever, sponsorship of European Tour TV coverage across several major European markets. The next month will see players such as Henrik Stenson, Phil Mickelson and Danny Willett carrying the limited edition Odyssey Tour Bags at events such as The Players Championship at TPC Sawgrass (May 7-10) and The BMW PGA Championship at Wentworth (May 21-24). Odyssey fans and consumers looking to improve their putting will also benefit by following a series of content and daily drills from Phil Kenyon, putting guru and coach to Henrik Stenson. The daily hints, tips and drills will be released on @OdysseyEurope and Facebook.com/OdysseyGolfEurope, so check them out if you get a chance. And Odyssey aren’t done there; in an exciting new addition, the brand will sponsor the European Tour golf coverage on Sky Sports in the UK, Sky Sports in Germany and VIASAT Golf across Scandinavia, starting from today. Golfers such as Phil Mickelson and Lydia Ko are just two of the world’s biggest golfers who keep an Odyssey putter in their bags, although their a tiny percentage of the many players who love the way an Odyssey putter works for their game. Will these putters give players the best chances of success? 10 Tour wins in the last six weeks says they just might! 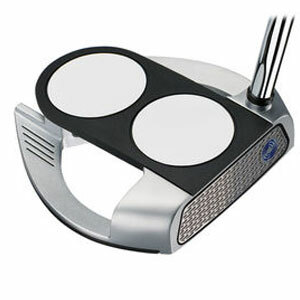 Odyssey has been dominant in the world of putting since 1997 and on the world’s professional tours for the last 15 years. Since 2000 Odyssey putters have been number one in usage, wins and top-10 finishes and the 2-Ball alone has won 190 PGA Tour events and 12 Major Championships. “Odyssey has over 20 years of brilliant history and has become a household name in the world of golf, so it’s only right that we celebrate its continued dominance, tireless innovation and status as the #1 putter in golf,” said Neil Howie, President and Managing Director of Callaway Europe, Middle East and Africa. “Odyssey has enjoyed so much success and Odyssey Month helps celebrate and acknowledge that success, as well as highlight the importance of putting for every golfer. Through our programme of activity planned across the coming month we will showcase one of golf’s most iconic brands to golfers everywhere,” he added. Look out for the unique Odyssey Tour Bags at TPC Sawgrass for The Players Championship this week and at tournaments for the rest of May. Check out the full range of Odyssey Golf putters available now from American Golf.